Announced today during the State of Unreal opening session, Epic Games will host hands-on demos of Magic Leap’s Mica in the Unreal Engine booth, Moscone South #349, throughout GDC. Conference attendees will be able to sign up in person at the booth each day of the expo beginning at 10:00am. Mica is Magic Leap’s groundbreaking digital human, representing the intersection of mixed reality and AI. In this short interactive demo, users work together with Mica to assemble a virtual art collage inside a physical frame. Through this creative collaboration, users can experience the Magic Leap mission of harmonizing people and technology, building a better future through shared decisions and ideas. 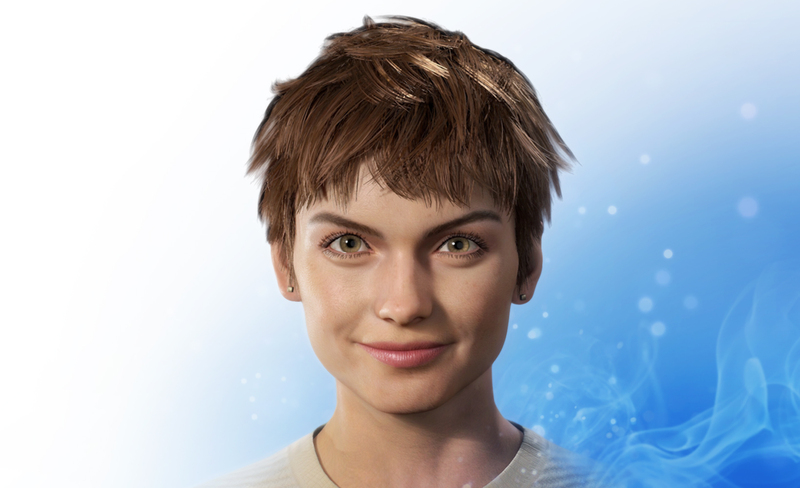 Mica was developed in Unreal Engine by a team of Magic Leap specialists to deliver a convincing digital human within a spatial computing environment. Based around the idea of human-centered rather than data-centered AI, Mica aims to enhance the lives of individual users, with cultural, behavioral, and other contexts taken into account. AI also drives Mica’s ability to look users in the eye and orient her position relative to them, enabling her to achieve a greater level of comfort with users. "Magic Leap's Mica is a great accomplishment in digital humans, demonstrating realistic expressions, appearance, and behavior in real time," said Tim Sweeney, founder and CEO of Epic Games. "Augmented reality will not just be a graphics platform, it will be a human platform!" Epic has been a longstanding technology partner with Magic Leap, and Unreal Engine support for the Magic Leap One platform was announced at last year’s GDC. Leading content creators including Framestore, ILMxLAB, Schell Games, and Peter Jackson’s Wingnut AR are already using Unreal Engine to create immersive experiences and applications for Magic Leap.